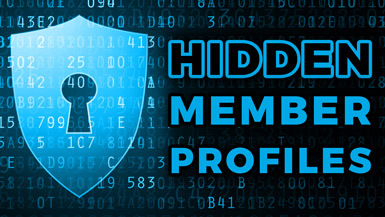 Address privacy concerns by hiding the profiles of specific membership levels on your website. You can also incentivize member upgrades by limiting their search functionalities. It can be useful to adjust the privacy settings for membership levels on your website. This add-on gives you these abilities and more by unlocking additional member search permissions. The Hidden Member Profiles add-on is great for websites that require certain levels of privacy, or if you want to encourage more member upgrades. 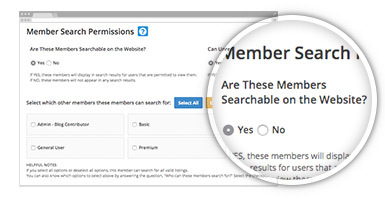 EXAMPLE 1: Restrict your lower-tier members from searching through your premium members. Incentivize your lower-tier members to upgrade their membership plan in order to gain full access to your website’s member directory. EXAMPLE 2: General consumers may register on your site to simply gain access to your professional member directory. Your professional members should be searchable, but there may be no reason to have your general consumers appear in search results on your website. This add-on will allow you to prevent your general consumer members from appearing in your professional member directory. EXAMPLE 3: Are you using Brilliant Directories to manage an internal corporate employee directory? It might make sense to restrict your employees from searching for one-another, while still allowing your managers and executives to search the employee directory.